PerformancePro ArtesianPro High Flow is the pump you need for your higher flow applications. It not only delivers great flow rates at useable heads, but it does so efficiently! You get the safety and convenience of self-priming along with great energy savings. For ease of use, it provides a large strainer basket, and an easy open Lexan lid. The specially designed lid and clamp ring insure a positive seal with very little o-ring wear. 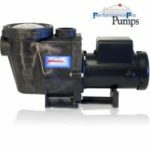 The PerformancePro ArtesianPro advances the high efficiency and self-priming advantages of the original Artesian pump series. Designed for quiet operation and enhanced performance the ArtesianPro has 3″ ports and a large capacity strainer basket accessible through our easy-open, clear Lexan lid. 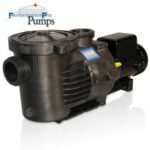 Quick connect fittings included with each pump provide direct connection to 2″, 2 1/2″ and 3″ pipe.